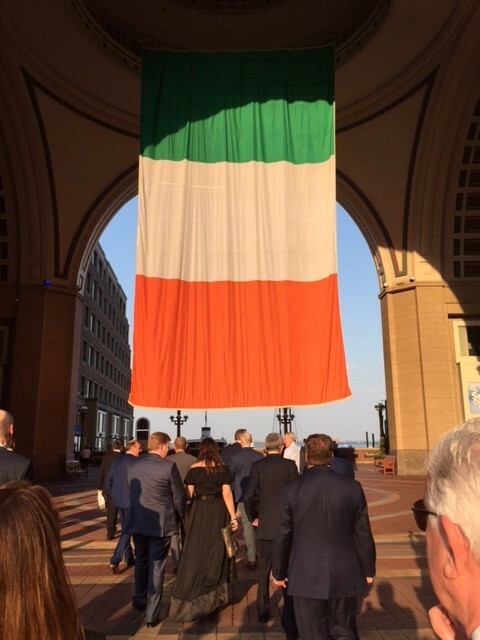 I was delighted to go to the U.S recently on this year’s EY Entrepreneur of the Year CEO Retreat. About 100 people (this year’s 24 EOY finalists, previous finalists of which I was one, the EY crew and media) all went to Boston for a week of learning and connecting. It was jam-packed with fantastic speakers and opportunities to hear from the best. We visited MIT and Harvard to learn about scaling our businesses. We were privileged to share the growth stories-warts and all- from the CEO’s of TripAdvisor, Hubspot and others. We got to hear from Joe Kennedy II, the ex-senator of the U.S House of Representatives, who runs Citizens Energy Corporation, a non-profit energy company and a big Ireland supporter. I thought I’d share some of the highlights over an article or two over the summer. And if you’re reading this, hopefully there’ll be some nuggets for you. So to get things started I thought I’d share some of the top tips from some of the inspiring, successful entrepreneurs we met. We visited the very cool Hubspot offices, with the ubiquitous “foosball tables”, dogs on leads, food and beer on tap. There we met Brian Halligan-CEO of Hubspot. He set up Hubspot with Dharmesh Shah in 2006. From a zero base in 2006, it IPO’ed in 2014. Its revenues in 2015 hit $182 million and its market cap now exceeds $2 billion. Pretty impressive! “Power is now gained by sharing knowledge, not hoarding it. Your start up team isn’t necessarily (most likely not) your scale up team. They need different skill sets. At start up stage it’s about ideation, drive, breaking new ground. Scaling you need strategic, operational and management skills. As a leader, be prepared to make the hard decisions. Inexperienced leaders over coddle and try to please their teams. Good ones make big hard decisions for the long term interest of the company and its value and that’s ultimately what employees want. We were lucky to meet with both the CEO of TripAdvisor, Stephen Kaufer and also Dermot Halpin, President, Vacation Rentals, TripAdvisor (an Irishman who studied engineering at UCD). 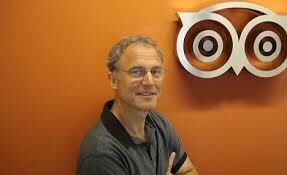 TripAdvisor was set up in 2000, IPO’d in December 2011. It changed its business model to a predominantly Google style cost per click model, along with subscription, display and affiliate models. Common themes from both were about speed and innovation. Reinvent yourself when times are good and change as you go along (Most people feel great when times are good and ride the wave. They react when the good times fade. From a team perspective to recognise that “costs walk on two feet”. Challenge yourself before you hire for a vacant role. Has the need changed? Is the role still valuable? Invest time and effort into getting the right people in the right places, give them clarity, measure and if it’s not working out face up to that-it’s fairer for both parties. From Dermot’s perspective, speed again was critical. He recommended finding ways for organisations to have urgency. To make chain of decision making short, to iron out complexity. Indeed avoid complexity altogether and only get involved in complex stuff if the ROI is really high. He also highlighted the need for innovation and creating an environment where everyone inputs with ideas. But look for big outcomes and set ambition levels accordingly. So some great tips, from some great people. I will continue this blog again with other insights from the CEO Retreat. In the meantime please share your top tips with us. And of course if you need great leadership, marketing, digital and customer centric talent solutions, just contact us here in Alternatives. We’d love to hear from you.